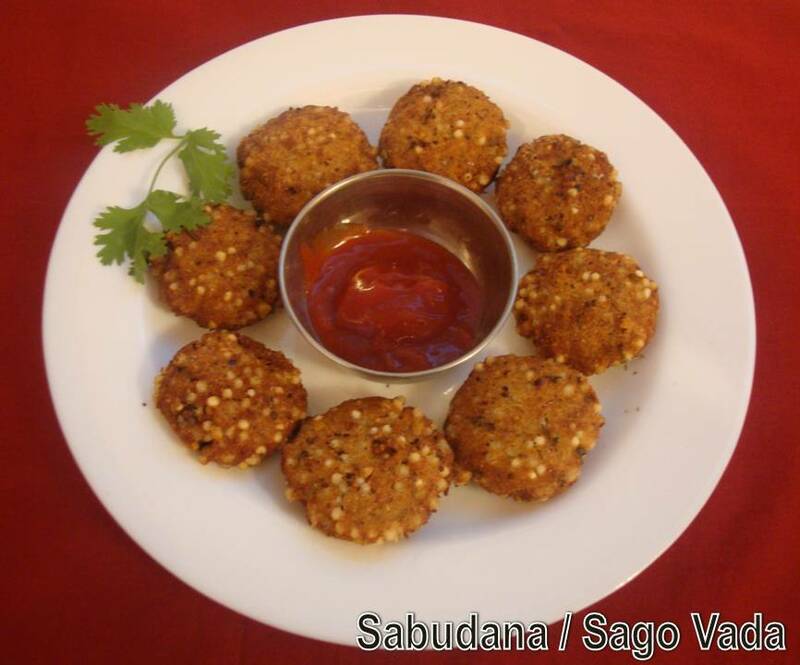 Sabudana Vada is a popular and traditional deep fried snack from Maharashtra, India. It is very easy to prepare and perfect to have along with a hot tea! Wash and soak sabudhana / sago in enough water to cover it, for about 4 - 5 hours (soaking time will vary according to the size and quality of the sago). After it becomes soft and swelled, drain off the excess water completely and keep aside. Take a bowl and mix together drained sago, mashed potatoes coarsely ground peanuts, green chillies, ginger, cumin seeds, salt, rice flour, lime juice and mix well. (you may increase the amount of rice flour to reduce the water content in the potato sago mixture, if needed). Taste at this stage to add anything, if you need. Roll the mixture into medium sized balls and flatten them. Deep fry it in hot oil, till both the sides turn golden brown in colour. Serve hot with tomato ketchup or green chutney. Vada looks delicious.. Nice presentation. Seriously i want that whole plate of crispy vadas rite now,love to munch some.